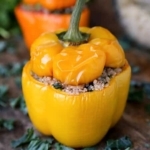 This is a delicious and nutritious quinoa stuffed pepper recipe seasoned with a dash of balsamic vinegar, salt and freshly ground black pepper. I don’t know if this year’s long and cold winter is causing me to react this way but bright and colorful vegetables are all I seem to want these days. Maybe my body needs a vitamin injection from all the days I have been spending indoors… I admit to being a hermit lately. 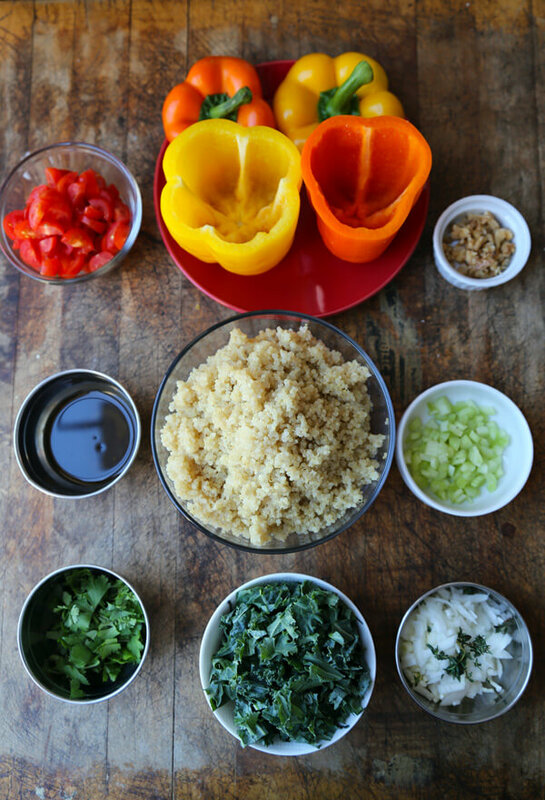 When I first thought of making a quinoa stuffed pepper recipe, I was going to bake all of the ingredients together. 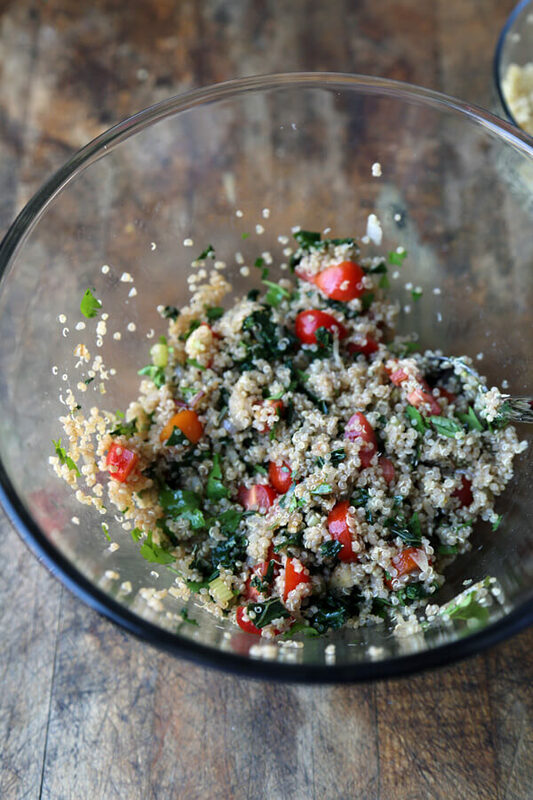 But then I thought about the texture of the quinoa (see how to cook quinoa); just like overcooked pasta or rice, it can make or break a good dish. 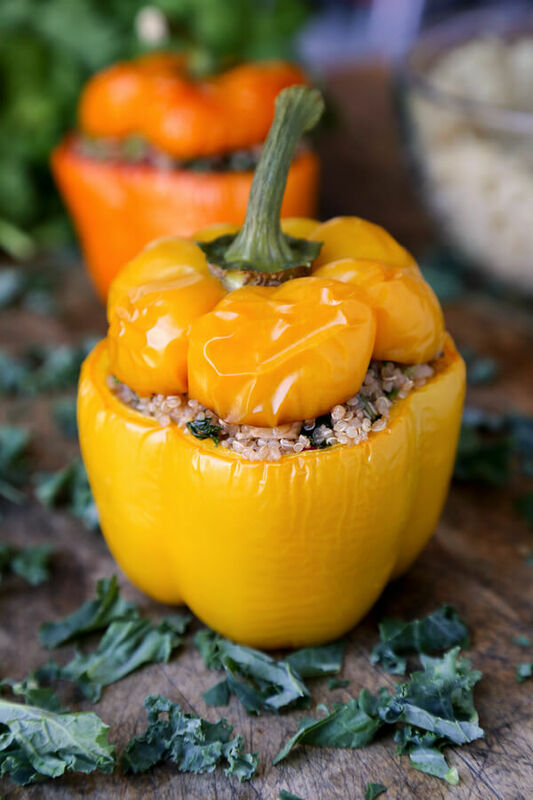 Okay, so it won’t be as quick and easy as I had planned, but these quinoa stuffed peppers are worth the extra few steps because they are seriously good and texturally perfect! 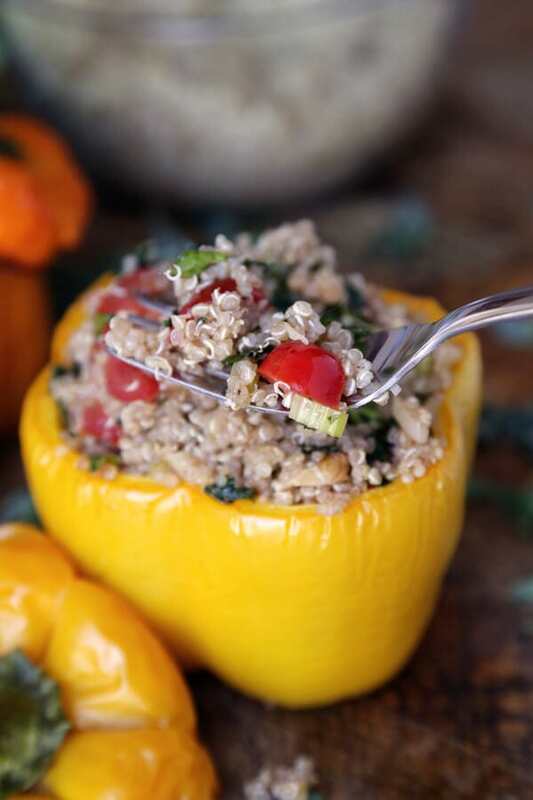 This stuffed pepper recipe may be more of a side than a main but is quite filling nonetheless. That evening, I served it with steak and kale with mustard sauce and all the flavors were in harmony. It was also just the right amount of food to fill us up but not to the point where we had to unbutton our pants. 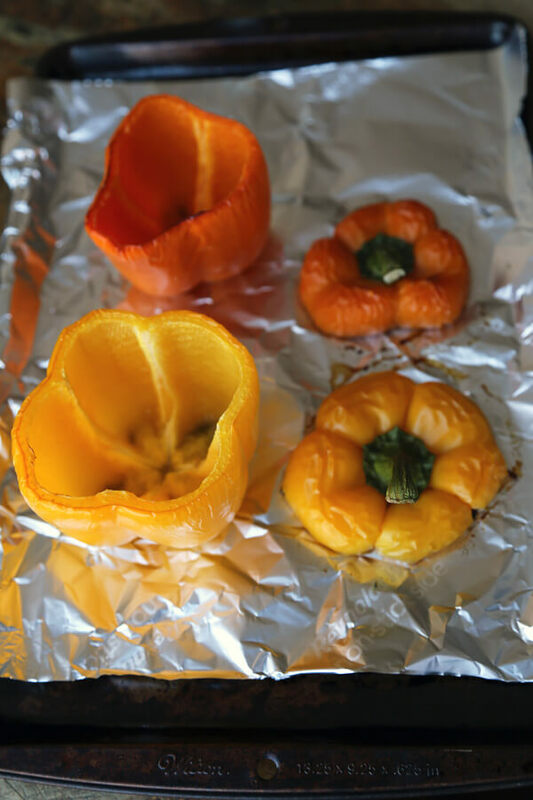 The balsamic vinegar adds a touch of sweetness to the overall savory peppers and keeps the flavors light and summery. 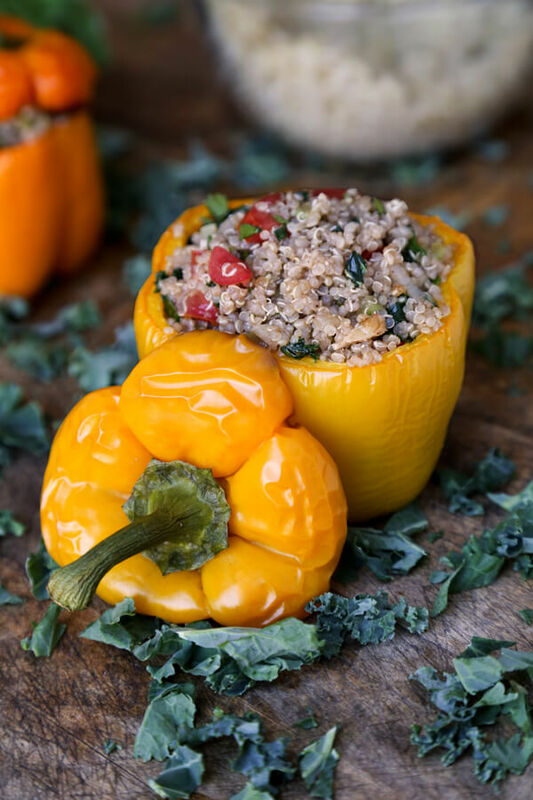 Dishes to serve with this quinoa stuffed pepper recipe: White bean and swiss chard soup, spicy tomato and sweet potato soup, Spaghetti squash with mushrooms and parmesan. 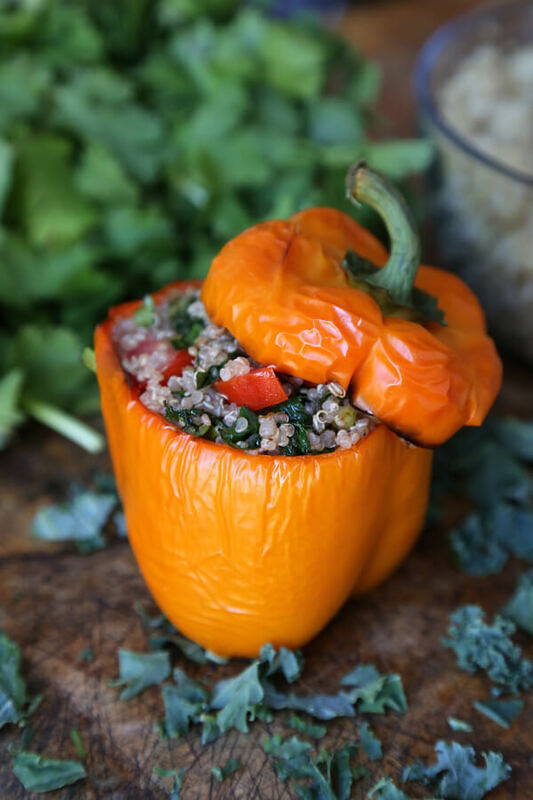 Did you like this Quinoa Stuffed Pepper Recipe? Are there changes you made that you would like to share? Share your tips and recommendations in the comments section below! 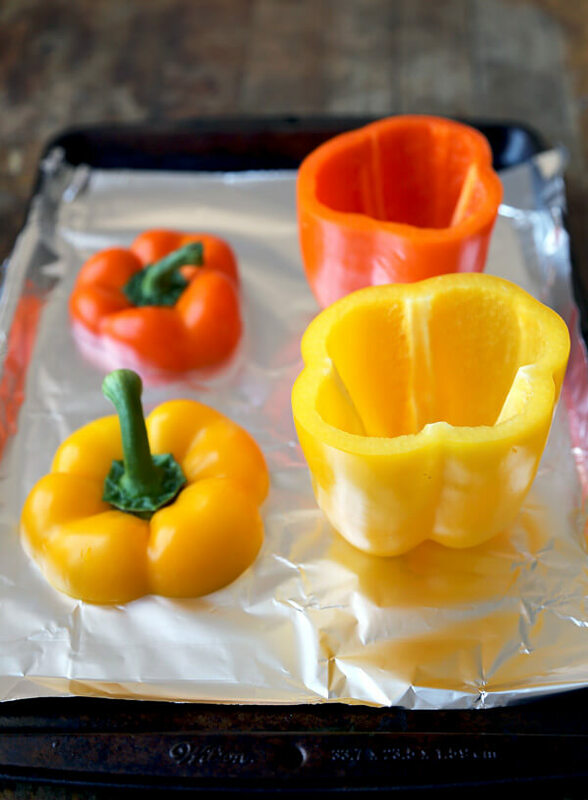 Cover cookie tray with foil and lay pepper tops and bottom. Cook for 25 minutes. 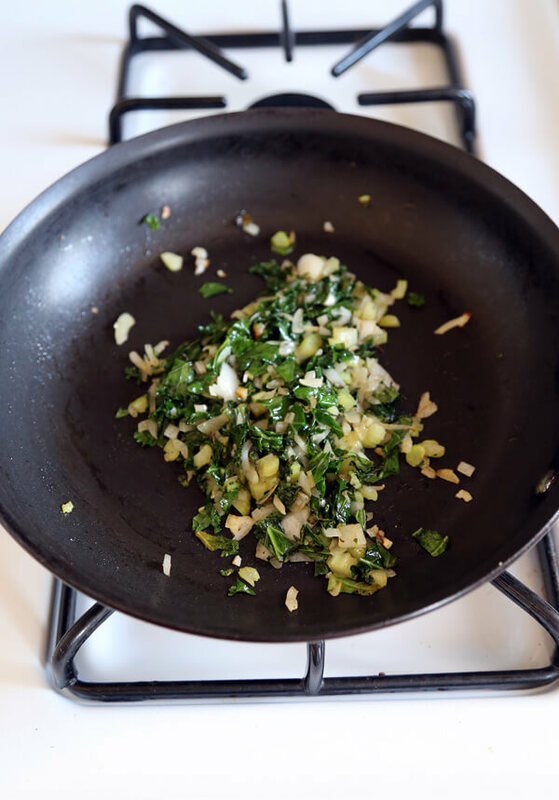 Meanwhile, in a medium size pan over high heat, add 1 tbsp olive oil, thyme, garlic, onions and kale. 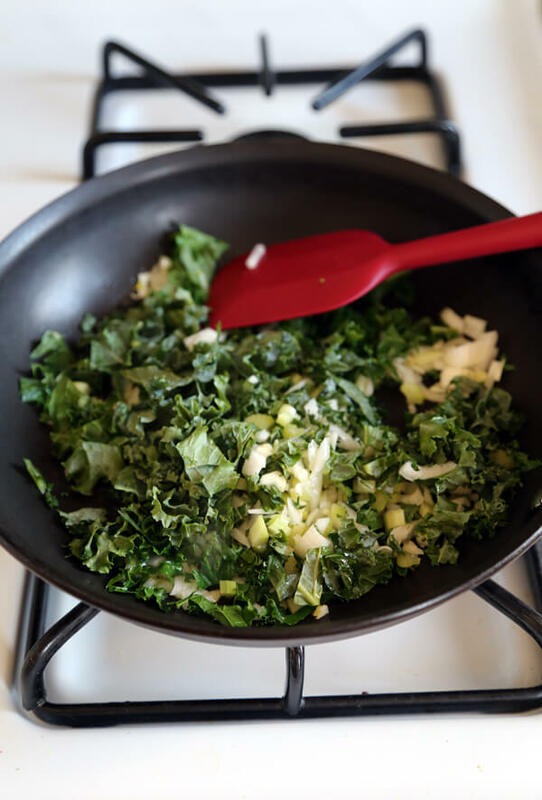 Cook for 3-4 minutes, until kale is tender. Turn the heat off and add white wine vinegar. Mix well and season with salt and pepper. Set aside. 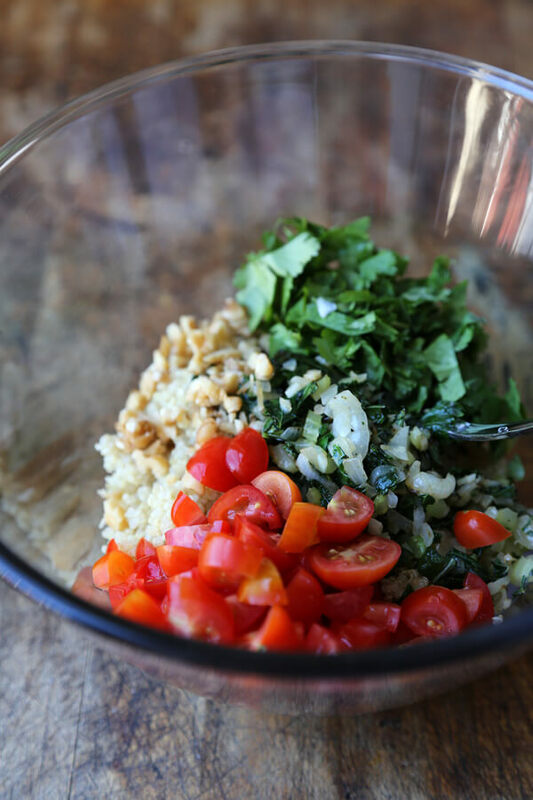 In a large mixing bowl add quinoa, walnuts, tomatoes, cilantro and celery. Mix well. Add cooked kale mixture and stir well. Add 1 tablespoon olive oil and balsamic vinegar, stir well and season with salt and pepper. Stuff each pepper with the mixture and top with pepper lid. Serve warm.